Jean-Michael Basquiat and his unique, collage-style paintings rocked to fame in the 1980s as a cultural phenomenon unlike anything the art work had ever seen. But before that, he was a little boy who saw art everywhere: in poetry books and museums, in games and in the words that we speak, and in the pulsing energy of New York City. 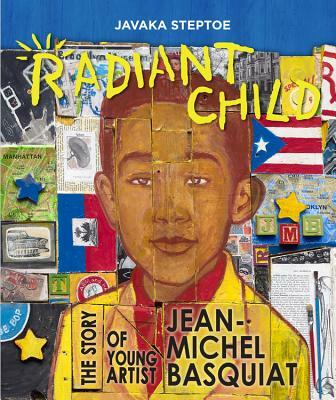 Now, award-winning illustrator Javaka Steptoe's vivid text and bold artwork echoing Basquiat's own introduce young readers to the powerful message and art doesn't always have to be neat or clean--and definitely not inside the lines--to be beautiful.